A new Dean has been appointed for the Student Affairs Division of Adekunle Ajasin University, Akungba Akoko, Ondo State, Nigeria. He is Dr. Olusegun Owolewa of the Department of Arts Education. Until his new preferment, Dr. Owolewa was Head, Department of Arts Education and Director of the University’s Centre for Distance Learning. 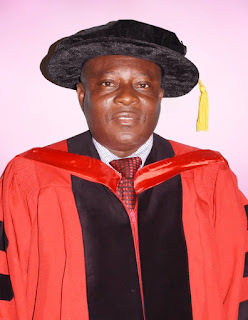 Owolewa, AAUA’s 10th Dean of Students, holds a Ph.D. in Applied Linguistics. Dr. Owolewa succeeded Prof. F.A Gbore who is now a Deputy Vice Chancellor. His appointment takes effect from 8th December, 2018.